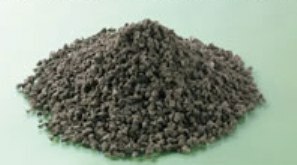 Pelleted Chicken Manure (PCM) organic fertilizer is a decent source of nitrogen (2-4%) and 100% organic. It also has small amounts of phosphorus and potassium. Making PCM entails composting the manure until the manure is completely sterilized, which kills pathogens, viable weed seeds, salmonella, etc, at temperatures above 158°F (70°C).